Nobody is perfect and leading a perfect life can be pretty boring. Doing weird things can definitely make your life exciting and fun. 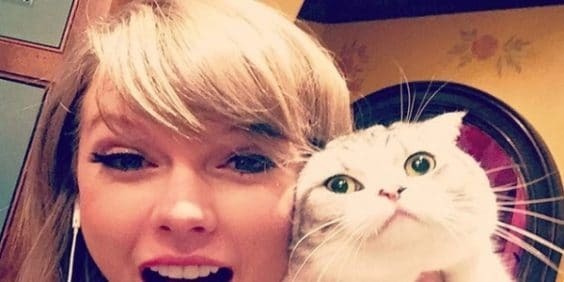 If you are an animal lover and have kept pets at home, you will understand that there is a lot of weird stuff you do at times, knowingly or unknowingly. Cat owners do certain weird things that are quite funny knowing that cats unlike dogs do not respond to your actions, though there are exceptions, but generally speaking. 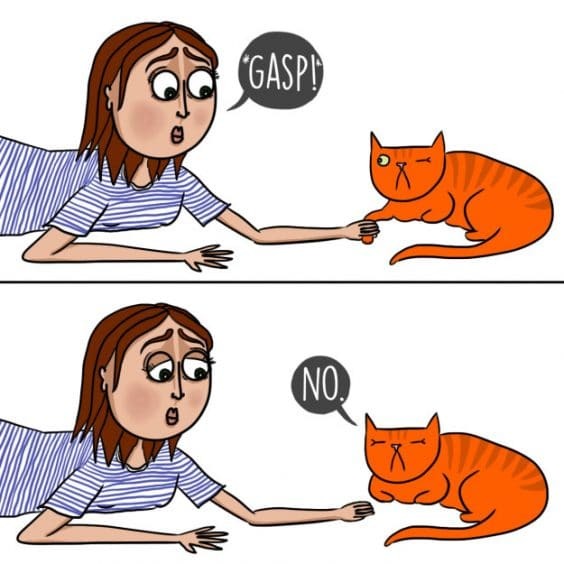 The following is a list of weird things all cat owners have definitely done. Cats don’t like holding hands like dogs. They don’t like anyone touching their paws or even touching their fingers. They always try to retract or take their hands behind. 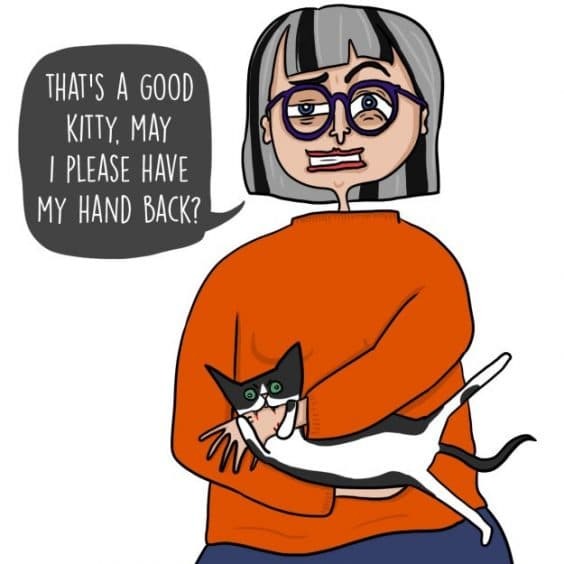 Cat owners know this, but there are times when you feel like touching their soft paws and just shake their little hands. Wow!! They are so soft. One has to respect their feelings; in short cats don’t like anyone touching their hands. Stay away. When you have a pet at home, they definitely become member of the family instantly. The fluffy and cuddly cats look so cute and adorable that it becomes almost impossible for cat owners to not call them their child. The more you get closer to this furry ball, the more it gets attached to you as your child. This is one of the most common and the weirdest things cat owners do with their cat. You know your cat has its own food that is nutritious and healthy, but sometimes you do feel like feeding your cat human food knowing very well that it is not suitable for cats and lacks nutrition. 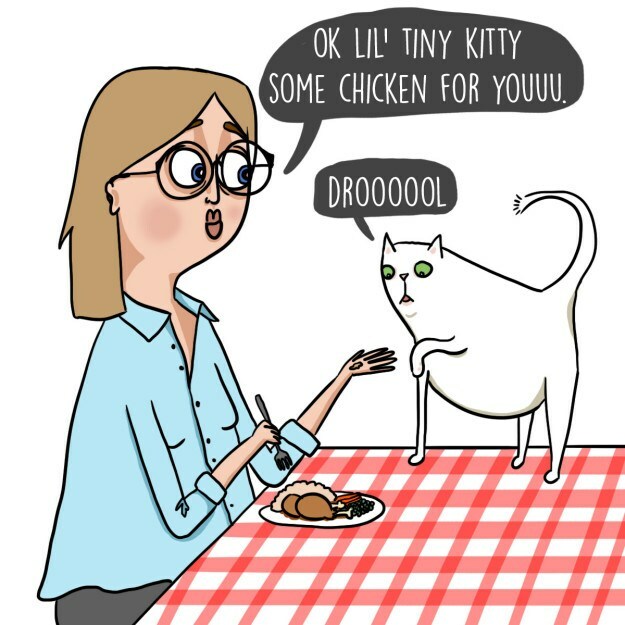 You do this to just keep him away from your plate, so that he doesn’t sneak his paws in your meal. Cats do sometimes understand your communication and certain breeds are quite clever at it. Cat owners love having conversations with their cat when they are relaxing or in a good mood to listen. It is quite common and we know that your cat will not respond to your queries, but still you consider your pet cat as a family member and families do have conversations. We all love taking pictures of our pets. Cats give us lot of opportunities when our hands immediately reach out to the cameras to click their lovely photos. 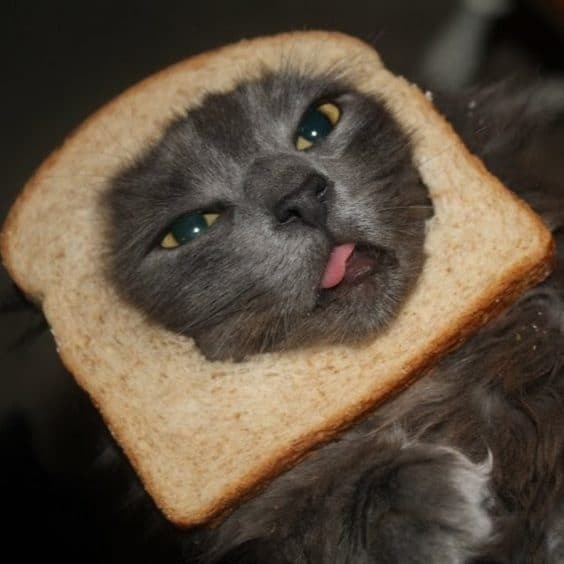 Cat owners love to take pictures of their feline friend when they do some weird stuff. Even though taking pictures may look weird at times, these memories with your cat will always stay with you forever. Cats will definitely offer you opportunities to photograph them doing some strange and funny stuff. Calling cats by their original name is impossible when you are totally in a loving zone. When cats do silly stuff cat owners call them with weird sounding names with no meaning. 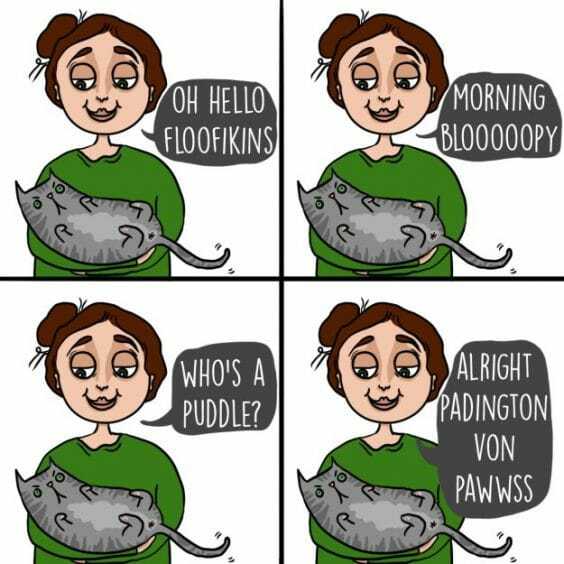 These adorable nicknames makes you feel happy and content and I am sure the cats also love hearing those names even though they may sound weird. 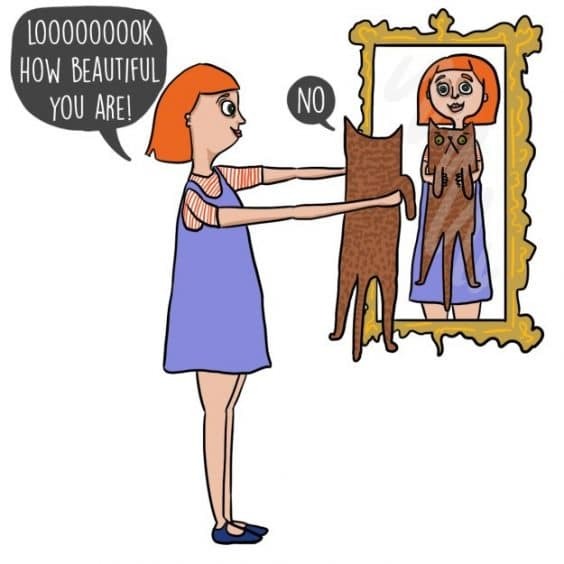 Holding the cat up to the mirror and making him look at his reflection is the weirdest thing that cat owners must have done. Asking him to recognize himself and asking him strange questions like “who is that?” and hoping for an answer is a weird act cat owners must have done at least once. Cats are famous for attacking their owners. They are unpredictable at times and will attack by biting or scratching on a regular basis. Once in a while these kinds of attacks are ok as the reasons for these kinds of attacks maybe due to ill-health or other factors. But, if your cat attacks you without any reason and considering this as a sign of love or an act done by mistake is a weird thing to do. Whatever presents you give for your cat, he will only play with the stuff lying around the house. 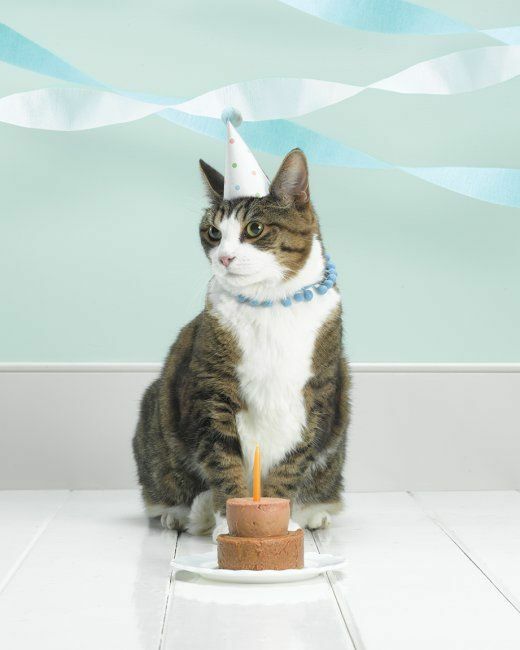 Cat owners know this, but it’s their love for their pet that makes them purchase gifts for their cat’s birthday. 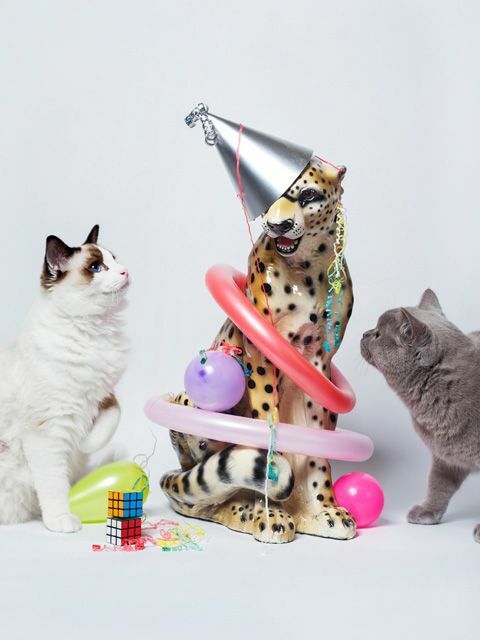 Even though it may look weird to gift cats on their birthdays, it’s the love, affection and satisfaction of buying gifts for your pet that matters even if it may look weird. Cats love sleeping between two people on the bed. It’s the cozy and comfortable feel of the bed and warmth of the cat owner that maybe interesting these cats. Cats love sleeping for more than 18 hours a day and imagine you have to compromise your sleeping position just because your cat is sleeping with you on the bed. 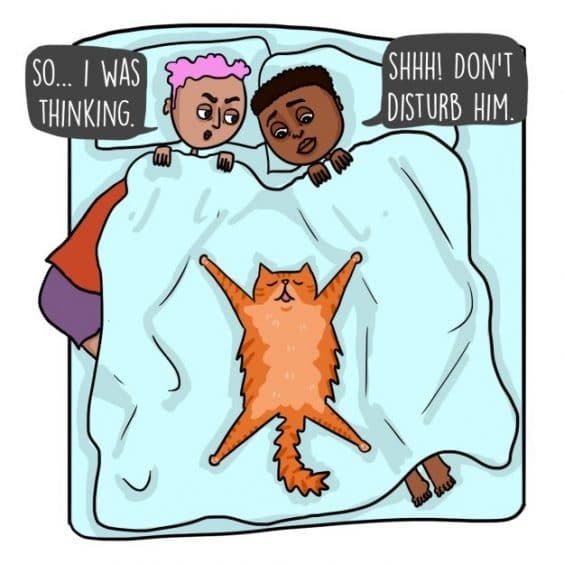 This may sound weird, but cat owners hate disturbing their cats sleeping position and try to compromise on their sleep by not being comfortable on the bed. 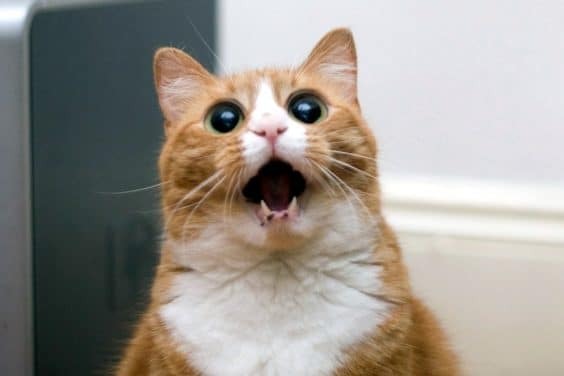 Cat owners feel that disturbing their cat will upset them and they may never show their affection towards them. 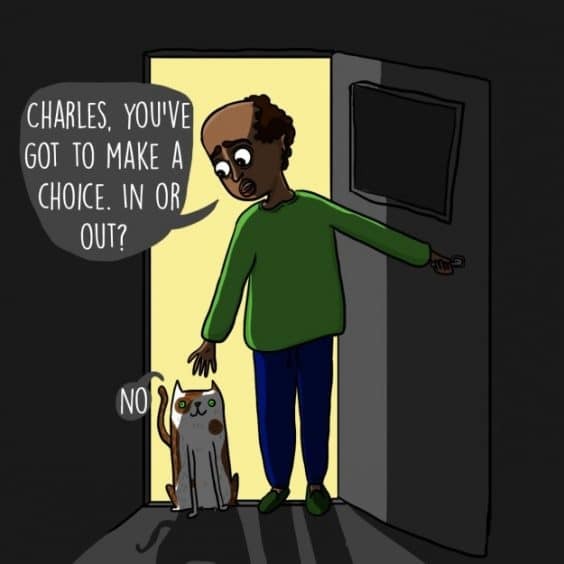 There are times when your cat is indecisive especially when they are at the doorway and deciding whether to step out of the house or stay inside. Cats love the threshold and cat owners reason with them about deciding to stay in or out. 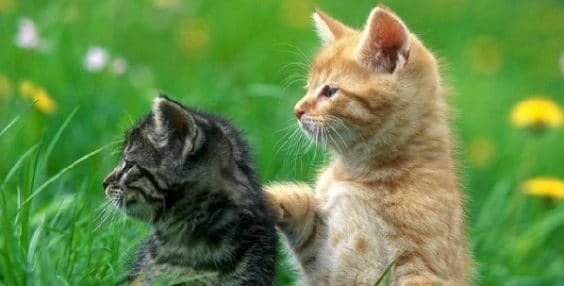 This is a weird talk and cat owners know that, but they enjoy the communication with their feline friend knowing very well that their cat is enjoying sitting on the fence. Cats don’t like to be forced for anything. They are like free spirits and hate any restrictions. There are times when cat owners would want to cuddle their feline friends, but the cat is not in a mood to cuddle. Who doesn’t like to cuddle a cat, but forcing them is somewhat weird, but then cats don’t otherwise come on their own to cuddle. They just feel uncomfortable. Cat owners do some weird stuff and they know that they are looking silly, but it’s the sheer joy that they derive from these silly acts that makes them repeatedly do this kind of weird stuff and there is no harm in doing that.